The Prototype Gundam, ancestor of all that followed, joins the ver. A.N.I.M.E. series! The Mobile Suit Gundam RX-78-1 Prototype Gundam Ver. A.N.I.M.E. 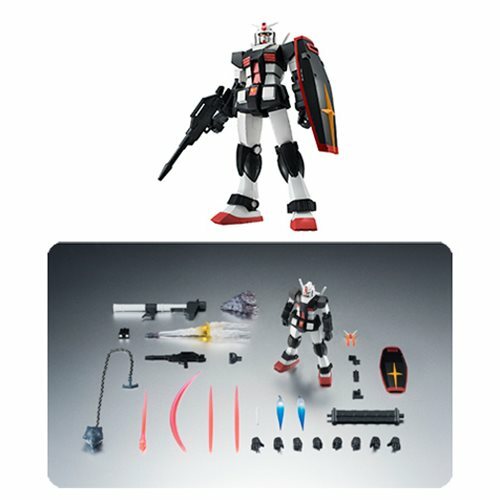 Robot Spirits Action Figure perfectly replicates its appearance before being modified into the RX-78-2. Comes with marking stickers to let you customize your personal unit. Includes 4x pairs of option hands, plus a variety of weapons and effect parts. Measures about 4 9/10-inches tall.